This is a wonderful recipe that can be made vegetarian, or can be made with added chicken. 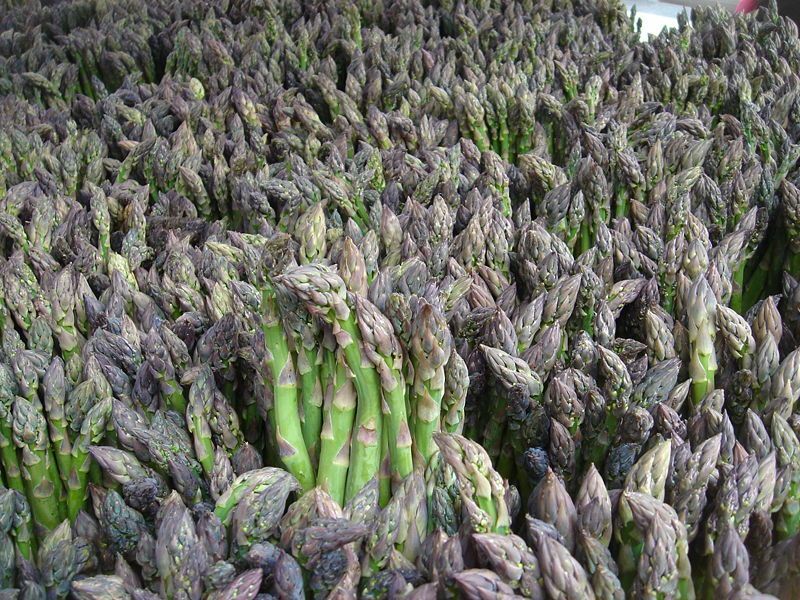 Asparagus is best in the early spring, but in this modern age, they are usually available year-round. Penne are a shape of tube pasta, similar to macaroni, but straight and quill-like; hence the ‘pen’ name. Pasta Montana penne is a ‘white’ pasta made from semolina flour (a coarse, high protein white durum flour), and it’s made right here in my home state). If you can’t find the penne shape, zitti, mostacioli, or (last resort) macaroni will do. This vegetarian recipe is adapted from one on a package of Pasta Montana Penne (1). If you wish to add chicken, first brine chicken breast meat, rinse and slice into thin strips. Sauté in olive oil with garlic. Gorgonzola was not part of the original recipe, but it works so well with the asparagus and walnuts that I highly recommend it. If you don’t like a blue cheese, try chèvre or other goat cheese. This is a delicious dish, and could be a single-dish meal, if you add sautéed chicken; see variation, below. The recipe makes a LOT (serves 6 – 8). You can easily halve or third the recipe. I’d like to try this also with a cream sauce. See Chicken Cutlets with Gorgonzola Sauce for basic idea; just add more garlic, with asparagus and walnuts (not as many as in this recipe). Allow 2 – 4 oz breast meat per serving (one small half-breast), brined. Brine breast, then pat dry; cut into thin strips and lightly flour the strips. Saute in the olive oil, then push to one side of the pan to cook the asparagus and then the garlic. Then toss all together in the skillet before removing to bowl and finishing the recipe. Prep: If you want to soak your walnuts, start two days before you want to serve this dish, to allow for an overnight soak, and an overnight slow-roast (in oven at lowest setting, 24 hours). Chop nuts before soaking. If using chicken (see Variation with Chicken, below), brine 30 minutes, then drain. Slice into strips, pat dry, and dust each with flour or tapioca starch. Day of serving: Coarsely chop walnuts and toast on baking sheet at 300 degrees for 15 minutes; set aside. (Skip the toasting if you pre-soaked and slow-roasted the nuts). Cook pasta according to cooking directions; drain, reserving the cooking liquid. Do not rinse with cold water. 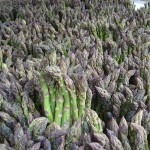 Wash asparagus and snap off woody end. Cut tender part into 2″ lengths. Lightly steam asparagus (just enough to warm but not cook them); set aside. Toss pasta with asparagus mixture and 1 cup of the walnuts, and optional gorgonzola to taste. Add some chicken broth or water from cooking the penne if desired. Garnish with remaining walnuts and serve. You can add 1 – 2 cups homemade chicken or vegetable broth with the walnuts, if desired. Serve with a grated hard cheese, such as Parmesan, Romano or Mezithra. Sprinkle with gorgonzola (or other soft blue cheese) when adding the walnut garnish to serving bowl. This entry was posted in Dairy, Fat or oil, Nuts and seeds, Pasta, Poultry and tagged asparagus, chicken, garlic, gorgonzola, penne, walnuts. Bookmark the permalink.